DJs who shaped the original Hacienda club sound will perform a Forest Live gig in Kent this summer. 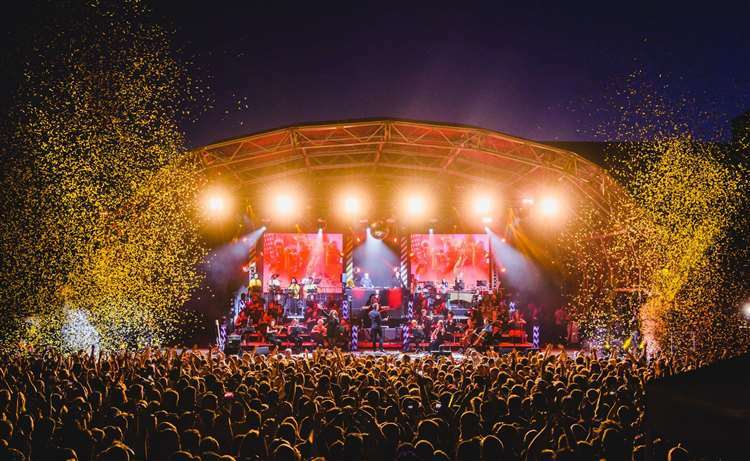 The successful clubbing classical cross-over, Hacienda Classical, which has played landmark shows at Glastonbury, the Isle Of Wight Festival and the Royal Albert Hall, will headline at Bedgebury Pinetum in Goudhurst on Saturday, June 15. The set will be a continuous live DJ mix where singers, a choir, orchestra and guests combine to create an exciting performance. Featuring the DJs who shaped the original club sound, they will perform alongside the Manchester Camerata Orchestra to recreate old school house and club anthems as dance heritage collides with the world of classical music. The soundtrack will include orchestral arrangements of much-loved classic club records from The Hacienda’s history, featuring some of the hits that proved popular, as well as adding new arrangements of seminal tracks. They join Paul Weller who plays Bedgebury on Sunday, June 16. Forest Live is run by the Forestry Commission England, with more than 1.75 million people attending a forest gig in the last 18 years. Money raised from ticket sales helps to look after the nation’s forests sustainably. Hacienda Classical plus special guests will be at Bedgebury Pinetum in Goudhurst on Saturday, June 15. Tickets at £38.50 (plus a booking fee go on sale at 9am on Friday, January 11. To book call 03000 680400 or visit info: forestryengland.uk/music.